When Megan talks about her initial “fall off the hormonal cliff” after the birth of her first daughter, she always remembers a morning where she had such bad fatigue (day in and day out) that she contemplated if breaking her arm would be less painful than trying to make herself get up out of bed. The problem is this level of debilitating fatigue is practically considered normal these days. If you came up to someone and told them you were really tired, the general answer would be something like, “Uh huh, join the club, friend.” It’s pretty much like walking up to someone and sharing that you also have skin. 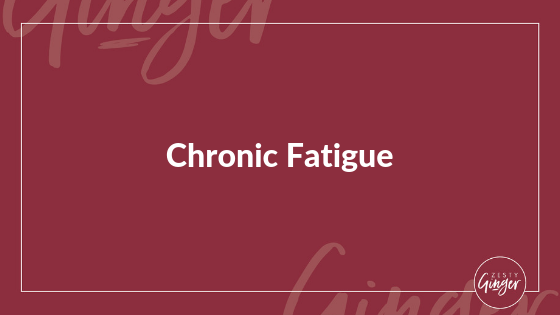 Chronic fatigue is a real, big, deep problem: it’s a sign that the body is so depleted of nutrients, cofactors, available energy sources, and mitochondrial function that you can’t mount a response to everyday life. Furthermore, it means that multiple systems in the body are no longer communicating with one another because the feedback loops that keep the body humming have been stressed out for so long. Just like with any other abnormalities or dysfunction of the HPA-axis, and central nervous system, addressing symptoms such as chronic fatigue requires a detailed look at what is happening inside the body on a functional level. Because so many hormones are involved in the process of having healthy energy levels, it’s worth figuring out exactly which ones are causing the initial problem and which pathways the body is using to try to overcome these challenges. When Alex did her last DUTCH retest–around the time she was feeling very depleted during her anesthesia residency–her cortisol levels mirrored that depletion. What was interesting, however, was that she wasn’t metabolizing the cortisol she DID make very quickly, which is likely why she wasn’t feeling symptoms for as long as she was. Had she just willy-nilly decided to start taking liver-boosting supplements (read: heavy detoxification and metabolism support), she would’ve burned through the small amount of cortisol she was making and would have felt much, much, much worse on a daily basis. This is the reason why it is critical to know what the cortisol curves look like in the body, and how it is responding to those curves! 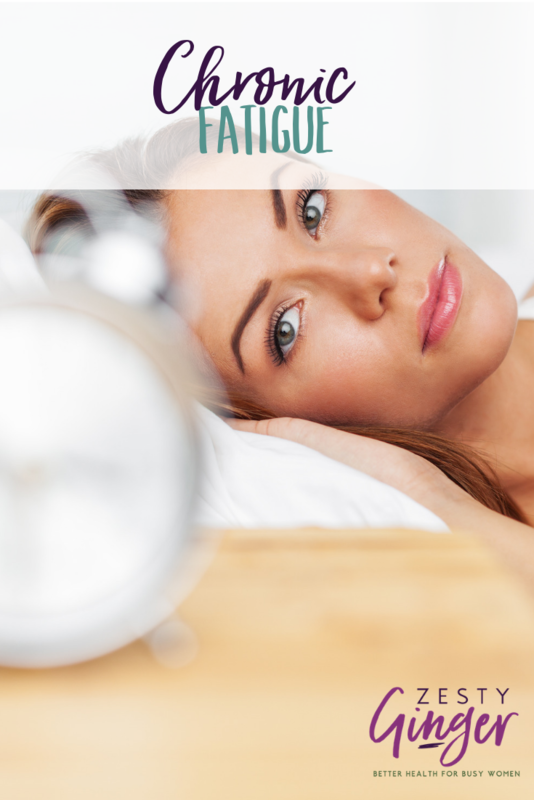 In the meantime, there are things lifestyle tools and tricks that you can use to lessen the impact of chronic fatigue on your life. Check out our favorite 3 steps below! Blue light hitting the corneas (in your eyes) is what kicks off the breakdown of melatonin in the body. (Some of this also happens on the skin level, but it’s not quite as strong of a signal.) We can use this to our advantage by regulating when and how blue light hits our eyes. The sun is an obvious and huge source of blue light–but artificial lights and electronics are also sources we see all the time. In order to use blue light to your advantage, do your best to step outside for at least 15 minutes in the morning. (At the risk of stating the obvious, don’t wear sunglasses for this.) This not only breaks down the melatonin stores that are being created but helps “teach” your hypothalamus/pituitary system to shift your circadian rhythm to the right time, stimulating appropriate cortisol release. At nighttime is when you’ll want to limit blue light coming into your eyes. This means either limiting electronics/dimming lights or wearing these oh-so-fabulous blue light blocking glasses. In a pinch, even wearing your sunglasses inside will do the trick! This alone will do wonders for regulating the body for chronic fatigue! The body has “unlearned” normal cascades, and this strict light regulation functions to “teach” it to carry them out. If you desire to take it a step further–and have the opportunity to do so–there’s anecdotal evidence that a camping trip for several days away from ALL artificial light is one of the most powerful ways to reset the body’s clocks. This is true for the daily circadian rhythm as much as it is for the feminine cycle (and by extension, ovulation). Since the HPA-axis is involved in both of these functions, doing this reset is an effective method to positively impact the life-disruptive presence of chronic fatigue. You’ve probably heard of using melatonin to re-establish circadian rhythms. And while we have nothing against that supplement, we’ve seen way too many women with abnormal melatonin levels in our functional testing for Healthy Hormone Group Program that we’re quite cautious about it. Instead, we prefer to use teas and elixirs to help boost natural processes in the body so that we feel energetic and happy during the day! Liquid chlorophyll is a staple for us for fighting fatigue, and it’s an aaaamazing pick-me-up for when you’re feeling really tired in the afternoons (when you normally reach for sugar or caffeine!) Mixing a teaspoon of chlorophyll with a couple slices of lemon, and 12 oz of water makes an easy elixir that you can have virtually anywhere. We also like using herbal teas such as peppermint or rosemary (in the morning/afternoon) and lavender or chamomile (at night) as a way to supplement with whole food sources. Throwing a couple of tea bags in your purse on is a great way to always have them available. Here’s our favorite Tranquilizing Tea Blend for falling asleep easily (and staying asleep)! Mix equal parts lavender, chamomile, and valerian root teas. Drink while you do your evening routine and relax! Us human animals need nature in a lot of ways. Sure, we like to pretend like our big brain has given us a free pass on being part of the animal kingdom, but in reality, that’s not as true as we’d like to believe. Just like the sun provides us with things we can use, being out in nature creates hormonal and signaling cascades in the body that downregulates stress messengers lowers inflammation and regulates the central nervous system. If you’re able to get outside when you’re feeling fatigued, take the opportunity to do so. Bonus points for going barefoot! And if you can spend a few moments getting some sun on your face, it’s 10 points for Gryffindor! Spending just 30 minutes outside can shift how your body produces cortisol and melatonin and how it breaks them down in a timely manner. Ready to do that root cause analysis and figure out what’s going on with your chronic fatigue? Join our Healthy Hormones Group Program, which is now open for registration!